Thousands of patients with incurable breast cancer in England, Scotland and Wales have still not been assigned specialist nurse care, despite government cancer strategy pledges, a charity has revealed. Breast Cancer Care wants funding to be made available immediately to recruit and train nurses to fill the gaps identified by its investigation. Data obtained via a freedom of information request made to 145 NHS trusts and health boards in England, Scotland and Wales shows that 72% do not provide dedicated specialist care for people living with incurable breast cancer, the charity says. This figure has only risen 7% since its last investigation two years ago. The Cancer Strategy for England (2015-2020) and the Scottish Cancer Strategy (2016) both commit to access to a clinical nurse specialist for all patients with incurable breast cancer. The Cancer Delivery Plan for Wales (2016-2020) pledges to nominate a named key worker – usually a clinical nurse specialist – for each patient, to ‘help navigate the pathway and ensure a smooth patient journey’. There is no cancer strategy in place for Northern Ireland. 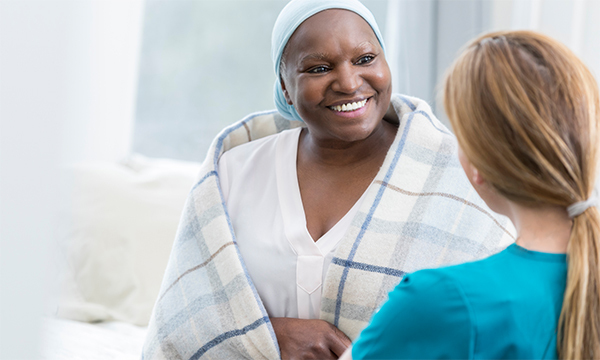 Breast Cancer Care says clinical nurse specialists are best placed to inform patients about their condition and give them opportunities to discuss concerns. Two fifths (40%) of the trusts and health boards are unable to say how many patients with secondary breast cancer are under their care. More than two thirds (70%) do not assess these patients’ emotional and physical needs. Four in five (80%) do not give all patients a summary at the end of each treatment. Breast Cancer Care chief executive Samia al Qadhi said access to a specialist nurse was ‘the single most important aspect’ of care for the majority of these patients and that without it ‘they feel isolated, forgotten and invisible’. ‘Funding to recruit and train the urgently needed clinical nurse specialists must be made available, starting with a commitment in the NHS England long-term funding plan published next month,’ she said.